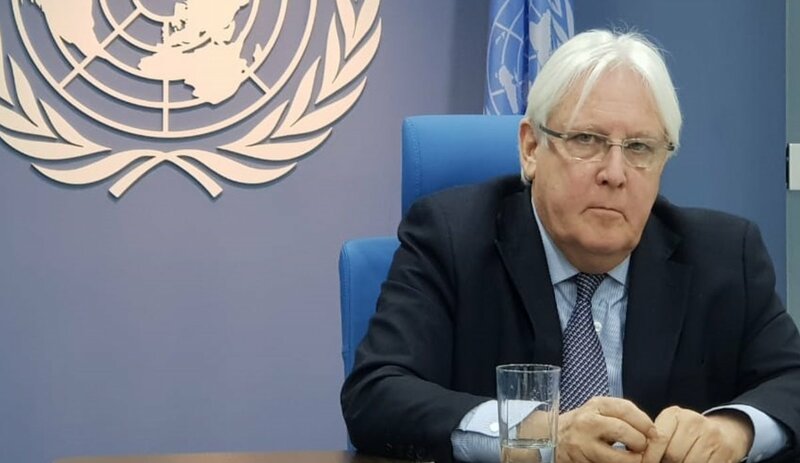 The UN Special Envoy Martin Griffiths has stressed that the UN would continue to uphold its commitment in achieving a comprehensive political settlement for Yemen conflict and restoring the country's security and stability. In a letter addressed to Yemeni President Hadi, Griffiths said on Sunday "the UN is seriously addressing any challenges that might hinder the progress of the Stockholm Agreement." The UN envoy to Yemen congratulated the Yemeni president and parliament members for the session held in Seyoun, which comes in a critical turning as part of collective, intense efforts to revive the political process and end the conflict in Yemen. "While Stockholm deals represent tangible progress towards that goal, we are still completely aware of delays occurred in implementing those deals," he added. Last week, Griffiths urged all parties to exert every possible effort to end civilians' suffering and allow for Yemeni people to live peacefully. A political comprehensive solution can only end violence and destruction, he said on Twitter.